What are the sleeping accomodations like? What should the cabin leaders bring for the cabin? As a chaperone, what am I responsible for? Why do I have to give you my Social Security Number on the health form? Will my students be in classes with another school? What is there to do during free time? Can my students take initiatives class if they are not 8th graders? What food is available for someone with special dietary needs? Why can’t students bring a cell phone? We offer 12 bunk style cabins. Each cabin sleeps 10 people and has a full bathroom. All of our bunk cabins are year-round facilities. They do have heat and ceiling fans. Each bunk cabin has it’s own bathroom including showers with hot water. There are other restroom facilities around camp for students to use when they are not in their cabins. It is recommended that chaperones bring items such as an alarm clock, hand soap, bath mat, extra pens/pencils, and board/card games for the students to use in the cabin. See additional information in the chaperone packet on this page. You will be expected to participate in all outdoor school activities such as; classes, devotions, and evening activities. You are also responsible for supervising free time and are expected to help keep crowd control in class. See additional information in the chaperone packet on this page. We ask for a Social Security Number in the event that we need to take you (or your student) to the emergency room – the hospital will need it. We shred all health forms at the end of each outdoor education season. There are occasions when one or more schools will be at the outdoor school at the same time as your students. Your school will have your own cabins and classes. You will be combined with the other schools during meal times, at devotions, and often for the evening activities. Yes. Bring linens or a sleeping bag, as well as a towel. 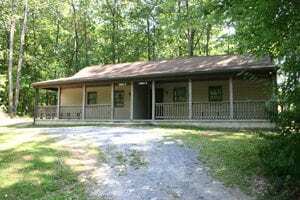 Here are some photos of the cabins so you can see what they’re like and what you may want to bring. There are several options for students during free time. The playground area, including the basketball, volleyball, shuffleboard, and gaga courts are all available (see some photos). If your students want to go to the ball field, on a hike, or to the creek they will need to have an adult with them. Can my students take the Initiatives class if they are not 8th graders? Yes. Initiatives is the first class for all groups participating in the ropes course experience. However, we also offer this as a separate class for schools that would like to see their students begin to learn to work together and communicate. If you (or your student) are a vegetarian or have specific allergies, there is still food available! The sooner you let us know your specific needs, the better equipped our kitchen staff will be to serve you. You can email us at outdoor@blackrockretreat.com. We ask that students not bring electronic equipment (including cell phones, iPods, gaming devices, etc.) for a few reasons. We don’t want these things to get lost, stolen, or broken. We also want your student to experience life without these distractions for the duration of their stay. Remember when you were in school and took field trips? You survived without a cell phone. If you need to reach your student in an emergency, you can call Black Rock Retreat at (717) 529-3232 or ask the lead teacher from your school for a contact number. See additional information in the parent/guardian packet on this page.